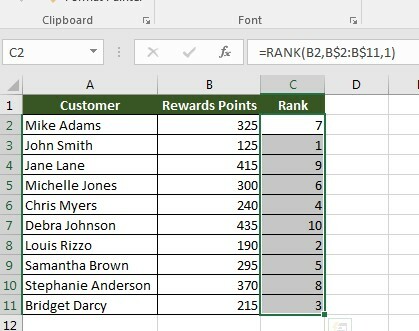 One of Excel’s advanced functions is the RANK function. 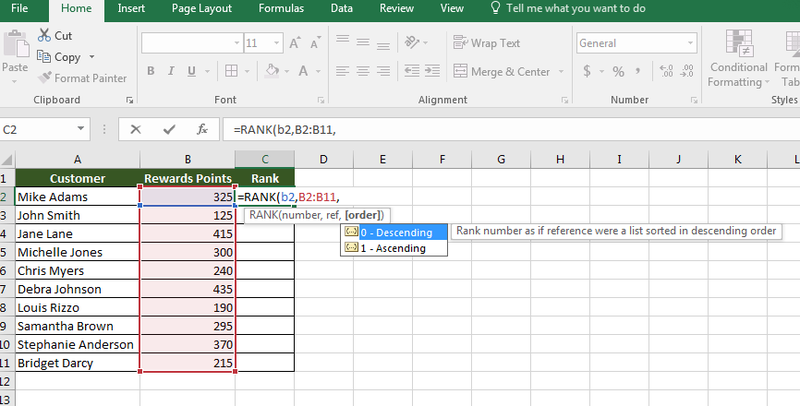 This formula is used to rank numbers in a dataset by either ascending or descending order. Let’s say you were running a customer loyalty program based on earning points. 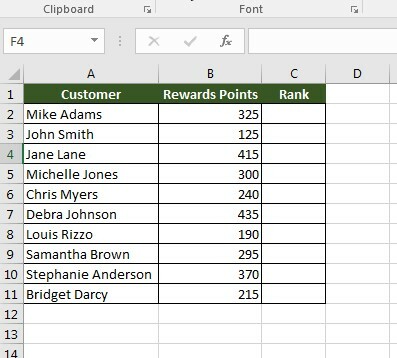 You need to rank customers’ point totals to determine what rewards they receive. 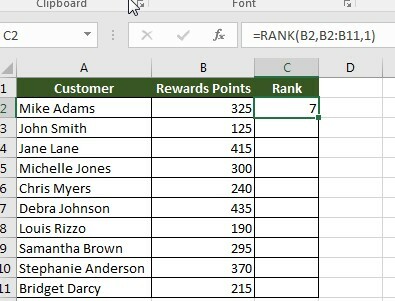 You could do a simple sort, but your boss wants the customer names to stay in the same order. You will use the RANK function for this challenge, but let’s first explore how the function works. When you use the rank function, your first argument is the number. This is where you specify the cell containing the number you want to be ranked. Next, you identify the range of numbers to be used as the reference (Ref). Finally, you select the order, which is ascending or descending. 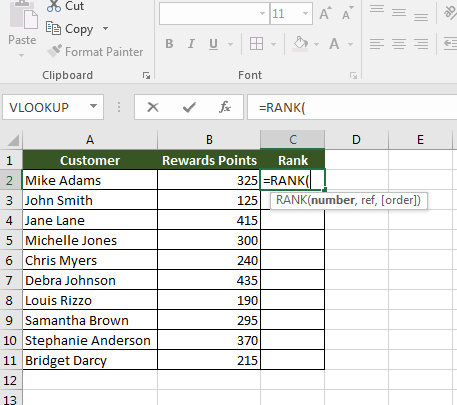 We at Learn Excel Now hope you feel comfortable using the RANK function after this article.